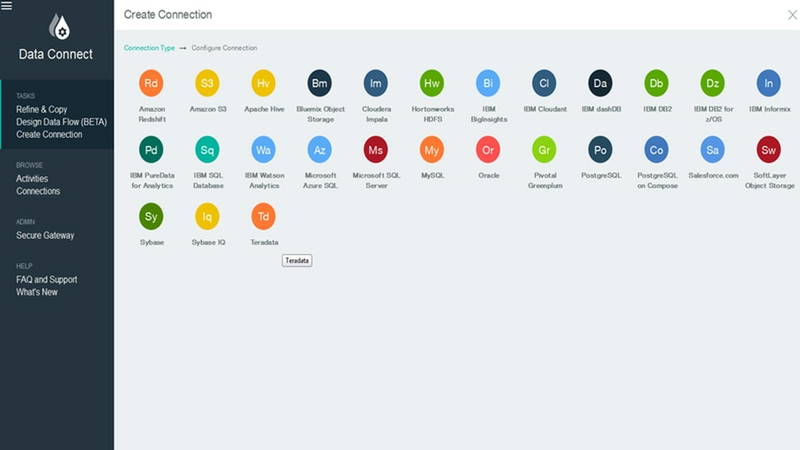 IBM Cloud Data Connect is a fully managed self-service data preparation and movement service that enables you to streamline your analytics and application development projects to deliver insights faster and with increased accuracy. 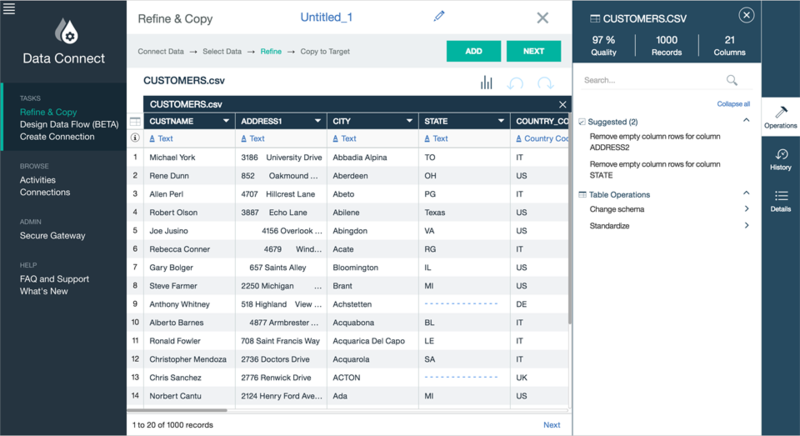 It provides a wide range of data access connectors to your most essential data sources so you can explore, combine, and shape your data to prepare it for analytics. Use it to positively impact the way your organization leverages valuable data resources - all from the convenience of the cloud. 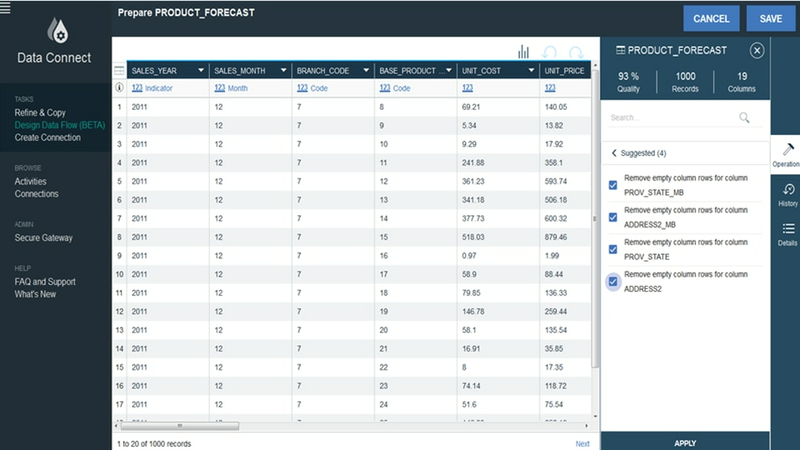 Easy and secure access your most essential on-premises and cloud data sources with a powerful visual interface, ensuring you have the right data for your analytics project. 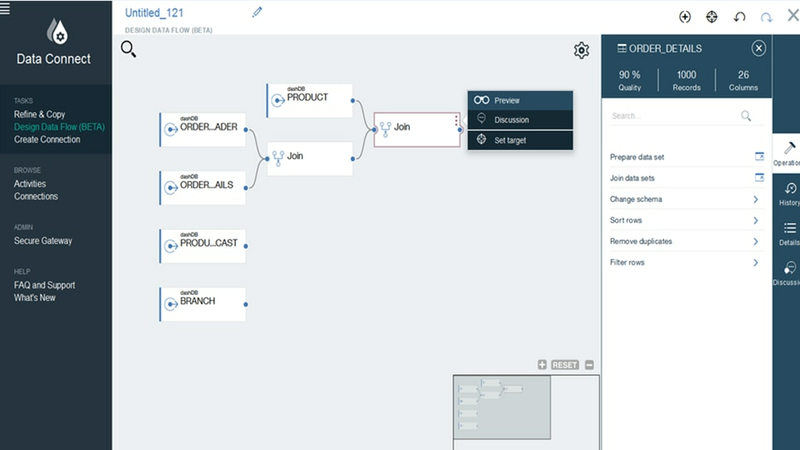 A broad range of operations let you join data from multiple sources and design data flows to generate your own data sets to propel your analytics project forward with speed and accuracy. A fully managed infrastructure in addition to seamless integration across the IBM cloud data services ecosystem enable you to take the load off of IT and to focus on delivering insights.